17 People Reveal What It's Really Like To Dine At A Restaurant Featured On "Kitchen Nightmares"
I believe the drug addict was added because someone like that, living in my small town, would be known for sure and nobody seemed to know who he was before that episode aired." "I was in Nashville on Fat Tuesday and my wife and I were looking for an authentic Cajun meal and hopefully some good Zydeco to go along with it. I did some research and found this place called Chappy's On Church. Initially, it was the background story that got me interested. It was a feel good story of how the first restaurant in Mississippi was ruined by Hurricane Katrina and they decided to move to Nashville and start all over again. The reviews were mostly good and they were even better from the old Chappy's in Mississippi so we went. They did have live music which was nice, it was over-priced and the food wasn't terrible, just not memorable either. A year later and I see the episode on TV and I was disgusted to see how dirty this place really was. In my opinion, Chappy just didn't have the motivation to change and he blamed everything on Gordon and Kitchen Nightmares. I never went back but the place soon closed after the show aired." "I live near Capri Italian, and have dined there pre and post Kitchen Nightmares. The restaurant was featured on Season 4, Episode 10. Before the show, it was dingy, dusty, and in dire need of redecoration. It was exactly as it looked on the show. We have restaurant letter grades in Los Angeles, and it was rated B at the time (you have to make a concerted effort to be filthy to earn a C). The food was meh, the caesar salad was pale and sad. Then came Kitchen Nightmares, and honestly, yes, the place turned around. It's not the best pizza in the neighborhood, but it's nice, and yes, the garlic knots are tasty. They are still going strong." "I cannot speak to the before, but I did go to Amy's Baking Company in Scottsdale, AZ after the episode aired. I was there on a business trip and thinking, 'this is a once in a lifetime opportunity to see how f---ing crazy these people really are.' My last day there, I decided to have lunch at noon. Like a normal person. Nope, they're closed. Well, f---. My plane was leaving at 6 pm. I could try to have dinner or something there before I go. I got there at 4:30 pm, and I saw they were open. I walked in and immediately saw Amy and Sammy, sitting off to the side looking at their phones. They looked up. They were the only two people inside. I was alone...with these nutters. So this was how I end. My heart drops into my stomach. 'Hey... are you guys open?' Sammy hopped up and smiled, gesturing to a table. 'Yes, of course!' He left me to a table, all smiles and charm. 'Can I get you anything to drink? Coffee? Tea? My wife makes an excellent vanilla bean vodka! Would you like some cake...' He kept babbling. I was feeling overwhelmed. I never thought I'd say this, but I looked over at Amy for relief. She was also all smiles. I asked for some of the vodka (because who wouldn't right now) and went up to look at the cakes after Sammy left to get the drink. I realized I had to play dumb or I would be eaten alive. 'You make all of these? They look great!' I asked Amy. She started babbling about her dreams of being a cook and how she makes all of them (BS!) and how she just finished her cookbook and if I would like to look at it. I acted impressed... The cookbook was 75% fluff. I thought this would be the best souvenir I could possibly bring back. As I was looking through it, gagging at the $40 price tag on the book, she started talking about her fur babies. She got her phone and started showing me her Instagram that has cat pictures. 'Oh, here's one of his birthday!' It was a cat picture with, I f---ing s--- you not, a little party hat painted on it like it's from MS Paint. I died a little inside. Eventually, my vanilla bean vodka arrived and it took all of my reserves to not chug it. I asked for some of the overpriced chocolate cake and told her I'll take the cookbook, but only if she'll autograph it! She happily obliged. I finished my pretty-good-but-not-eight-dollars-good piece of cake and honestly really good vodka with them hovering over me. Do you want something more to eat? More vodka? Before I left, I asked to take a picture with her. She obliged, a bit hesitant, with Sammy who was jumping up to take the picture. I figured I'd pushed it just as far as my 'ignorance' would let me, without them getting entirely suspicious of my real motives for being there. I said thank you, left and immediately call my husband to tell him what happened. My plane ride was pleasant, mostly because I was tipsy thanks to the vodka. Would I go again? Hell f---ing no." "I ate at a restaurant that was on Ramsey's Kitchen Nightmares. Get ready, because this is actually a sad story. The place was in my old neighborhood, which was a semi-popular bar/shopping district in my city. For backstory: it was run by a couple who inherited the wife's parents' very successful restaurant in another state, but had closed it to open the one that would be featured on the show. From what I could tell, they were nice, hardworking people, but no one in the immediate family had really had any restaurant experience. The problem was that in the other state it was a unique place. In my area, it was an Italian place in a neighborhood that was pretty much nothing but Italian places. The episode was...awkward. We're not a neighborhood that gets noticed on a national scale very often, so every bar and restaurant on the street had a viewing party for it. So, pretty much the entire neighborhood saw it live. And, throughout the course of the episode, the viewer starts realizing that the husband is seriously - seriously - depressed. At one point Gordon Ramsey stops acting and sits down to have an honest-to-god intervention with the guy. I felt horrible for having watched the episode, honestly. It felt sickeningly voyeuristic to be participating in this family's legitimate problems. If the guy had been a stranger in another state, I might have felt differently, but he wasn't. He was a real person that I saw every morning smoking a cigarette while I walked to work. I'd stand behind his daughter in line at the coffee shop. He was not a character, and he was not acting for the camera. What was less fantastic was that the owner would come to your table to talk with you. But he was...how to put this gently...not the best conversationalist. The conversations would start out normal until he'd segue into telling us how his father died violently in a house fire, or that I should make sure to tell my friends to go there because the place was still failing and he didn't understand why, and so on. They were among the most delicious, and saddest meals I've ever eaten. Eating there was on the same level as going out to dinner after my grandmother's funeral. The place seemed like it was doing better after the episode - it looked like it had much more business, anyway. But it closed about 3 years after the episode aired. Gossip around the street is that the place had actually recovered financially, but the landlord thought they could get more money from opening a different kind of establishment. But the place the landlord wanted fell through, so now it's just an empty building in the middle of an otherwise thriving street." "I live in Washington. 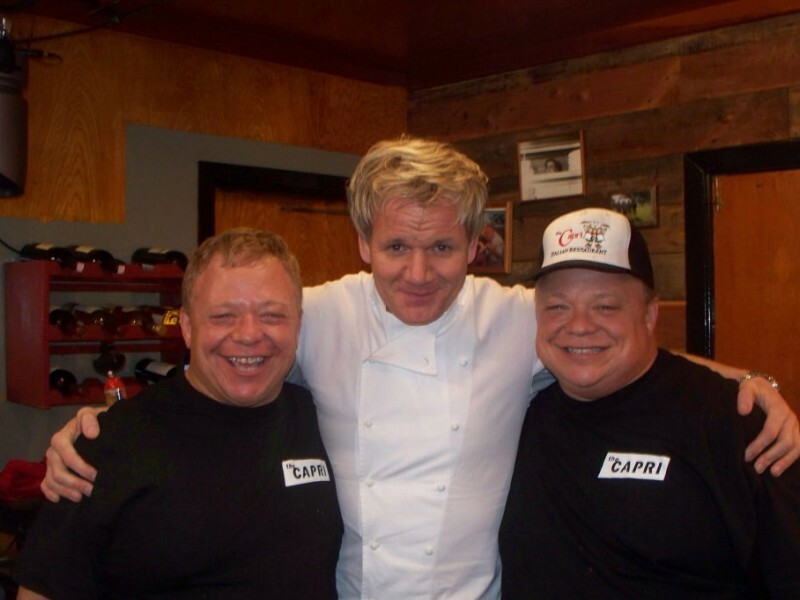 Kitchen Nightmares was in Everett at 'The Prohibition.' I have been to the Prohibition 5 times. Twice before Gordon, 3 times after. The food there was HORRIBLE the first 2 times. Not good. For example, I had a cheesecake that was ROCK hard the 2nd and what I thought would be the final time. My dad really liked the food. My dad grew up in war-torn WWII Germany and was always happy to just have food. I saw the episode and decided to try it (I used to be obsessed with that show) because it would be cool if it was somehow good now that Gordon was there. FIRST TIME AFTER GORDON: I had the chicken pot pie. IT WAS AMAZING, creamy, delicious, crispy/flaky crust DELICIOUS! Gordon had adjusted the prices and made things a bit cheaper. The belly dancing owner lady told me that it was to get people to come in more often. So maybe twice a week instead of once. I would have easily gone in twice a week IF THEY HAD KEPT THE FOOD THE SAME!!! SECOND TIME: GROSS GROSS GROSS I had the same chicken pot pie but it was NOT THE SAME. it was nasty. THIRD TIME: THEY didn't have chicken pot pie, So I had a steak and it was disappointing. I have not been back since. My take on it was that they tried the recipes and then either they were too difficult or they didn't see the value and went back to the old methods. The head cook there was a POS if I recall from the episode. He didn't give 2 f----. The owner was too dumb to do anything about it. 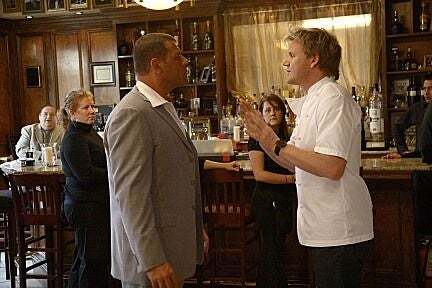 NOTE TO SELF: If I ever own a restaurant and Ramsey comes and revamps it menu to freezer, I WILL KEEP IT JUST THE WAY HE MADE IT." "There's a Greek restaurant in town. When we moved here we were excited to try it but it was inevitably underwhelming. It had a tired-looking menu, dull food, dark and dated atmosphere, slow service. Some people love it, though, so we'd get dragged there from time to time. Finally, I had enough mediocre moussaka and announced no more. When it was on Kitchen Nightmares, I think it was as the original owner's kids were taking over. We went after the intervention before the episode aired. There were some slapdash improvements to the interior. The menu was actually interesting, not your typical standard Greek menu circa 1990. The food was amazing. The service was super slow. But despite that, we went back a couple times. Pretty quickly, though, they went back to all the old standby fare, saying it was all Back By Popular Demand. Yes, bland, fatty food is popular...who cares, right?" "I grew up in New York and ate at the restaurant called Peter's numerous times, both before and after his show. I also ate at Classic America after it was on the show. Both are now closed. Peter's The food hit or miss. My biggest gripe - before and after the show - was that they were almost always out of most of their menu. I remember one time during Restaurant Week the waitress came back three separate times to tell me they were out of the entree I ordered. Peter really did behave like a buffoon when he was there. He owned a beautiful Mercedes Benz, which was always parked out front and he would practically stand guard over it. After the show aired and people saw what a hothead he was, they would kind of mess with his car to watch him explode. Classic American was actually pretty good and a friend's sister worked there. She has a bunch of pictures of them together. I never heard of it before the TV show but the issue was very, very obvious: location. It would have done much better in a better location. Their food was pretty good though." "I worked at a 'Kitchen Nightmare' restaurant. In fact, I helped debut it - started a week or two before opening. El Greco in Austin, TX. I did not work there anymore at the time of the filming. First of all, let me say this: I always thought Kitchen Nightmares was faked and exaggerated. Now I know it isn't. They actually had to tone this guy down for TV. As far as the food goes, it's a shame, really. When he started the restaurant, he, his mom, and his aunt cooked amazing food from scratch. The best greek food I've ever had. He insisted on extremely high-quality ingredients across the board, causing them to hemorrhage money. He started sleeping later and later, showing up less, and the microwaving of food started. Between increasing drama in the kitchen and decreasing quality of prep and ingredients, incredible food turned bland and mediocre experiences became horrible. I remember that somebody told a vegan that Souvlaki was vegan (it has a ton of ground beef in it). I got fired a few months in. Never looked back. So glad that happened. Saw that kitchen nightmares episode a few years later and laughed my head off. It's a real shame. He wasted $800K of his dear old mom's money on that place (actually, she was kind of a b---- too, but I loved her nonetheless)." 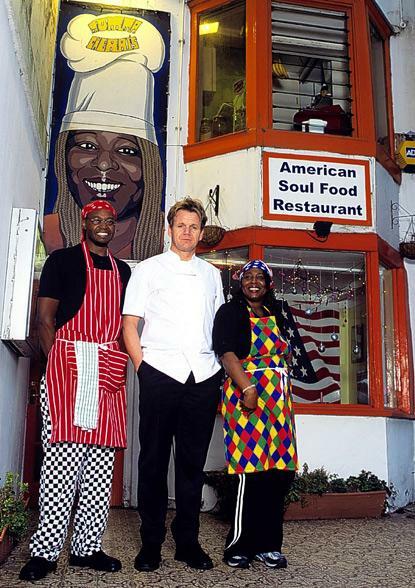 "I went to Mama Cherie's soul food shack in Brighton UK-post Gordon Ramsey. So for visit 1, my Mum went by herself and then took me on her second visit. My Mum is from North Carolina so grew up with American soul food, a taste passed onto me. On her first visit, she went with some friends for her birthday and she said that the food was great. Apparently, it was a tiny little restaurant at the back of a small alley and she opened at lunch just for my Mum's party. She said that it was proper authentic southern food and rated it highly. When I went it had moved to a bigger location nearby and it was a weekend evening and it was packed. Mama Cherie was awesome and was a great host, spending time with each table. The food portions were epic. My Mum felt the food was very sub-par compared to her last visit. I remember the food being plentiful and tasty but not especially so. It sorta tasted like fast food. Not long after Gordon went back and filmed another episode. Turns out pretty much all of the food was precooked and nuked. Mama Cherie still made the base sauces and s--- but to cope with two floors of packed tables in a moderately large restaurant, the food was all pretty much made in advance and heated to order. She lasted another year or so and then the Ramsey Kiss of Death finally took its hold. There is now a second branch of a lovely, authentic, Indian restaurant from my local town there which appears to be surviving after some years where Mama Cherie's Big house was once located. I saw her a few years later MC'ing at the Brighton Chilli Festival (where I was a judge in the national chilli awards, no big deal). She was hosting the chilli eating competition." 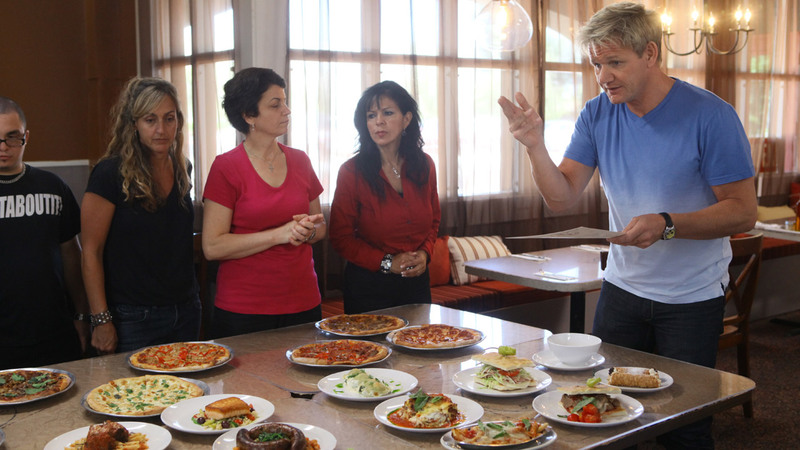 "We have a little Italian Pizza place out here that was featured on Kitchen Nightmares a few years ago. So he sat us down at a table and made us the best damn pizza I've had in a really long time. He kept coming over and very brusquely asking us 'You, how are you doing?' or 'You, how do you like the food? It was really good, we were the only people there so it was really quiet. I speak Italian and the guy was so happy to talk to me. I stood at the counter for about ten minutes chatting with him in Italian. He told me I was the first person in several years to come in and speak to him in Italian. It was actually really fun. The food was fantastic. I recommend it to all my friends. I hope the place does really well." "Took my wife and kids to Luigi's in Anaheim, California about 5 years ago (Disneyland trip and it was like a 5-minute drive from our Hotel and from Disney). 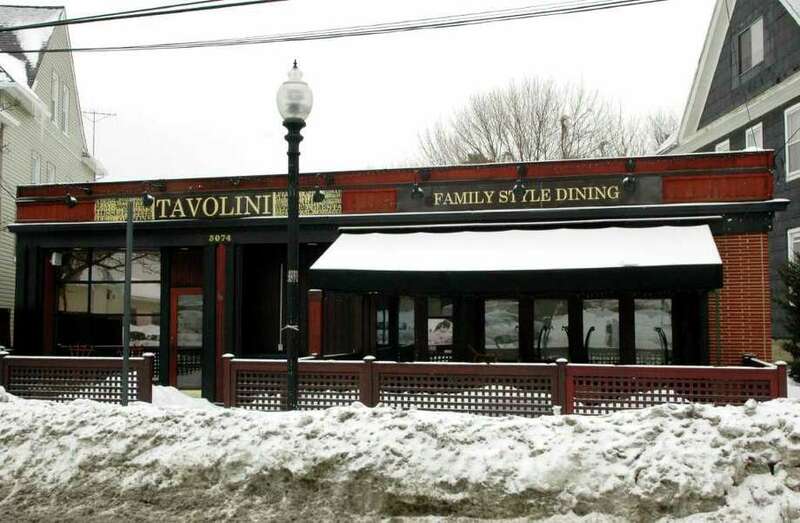 My wife and I are fairly picky about Italian food, half of my family are Italian and even got an Uncle Vito with a restaurant of his own that doubles as a deli over in New Jersey. So, I went in there with high hopes and you know what, I found a great little restaurant it seemed with nice staff, but just ok food. It was a family Italian restaurant. It not a fine dining place, and honestly, I prefer that myself when I get Italian. Anyway, overall the experience was extremely mediocre. I remember not liking my dish at all to where I only finished maybe a quarter of it and didn't even take any left to go. It just felt very average. It wasn't expensive so I didn't complain that much. Ok, so, Disneyland trip #2 about 6 months ago, we are now back in Anaheim. My wife and I are both fans of the show having burned through the seasons on Netflix, so when we remembered this restaurant being on the show, we had to check it out again! First, the look was not all that different from what I remember, though we sat near the front door as it was decently busy, in a booth and I didn't bother to wander around. Overall, facilities seemed well-kept and clean though. For anyone that has been there, you walk in the front and we were the first booth on the left, like opposite of the front desk. You could see them working in the kitchen from where we sat. Now, the food. For me, I'd say the food was great, above average, though my dish wasn't anything mind-blowing. It was good. However, my wife absolutely loved it and she is actually the more picky eater. I can't remember what she got, but I do remember it was something with chicken. She let me tries hers and I do remember thinking, 'Damn, that's better than my dish,' and I got something good with Italian Sausage. I rarely get chicken but I would have gotten that dish again. Prices were good too. Cheaper than you'd get from going to Olive Garden and better food, bigger portions (though I guess you miss out on those bread sticks! lol). I'd go again next time I head that way. It was terrible. Advertised as seafood, but it was really just terrible Italian food. There was a piece of foil baked INTO the bread, and I guarantee that place didn't make its own. The scary part for me was that the place was really not good, but I've been to a lot of bad restaurants. After seeing Gordon expose the kitchen conditions it made me question every place I went after seeing it! Now I want to puke again..."
"I've been to Amy's Baking Company 3 times with my friends. The first time was a few months after Kitchen Nightmares and Sammy started going off on us about Gordon Ramsay even though we never said anything about seeing them on TV. The food was pretty mediocre, and Amy kept giving us her alien death stare from the kitchen, but the desserts were legitimately amazing. Like, the best piece of chocolate cake I've ever had. But them acting out on us made it kind of an uncomfortable experience. The second time was more or less the same, but the third time, it seemed like they finally cooled down and heeded Gordon Ramsay's advice. The menu was maybe a third as large, they seemed to actually specialize in certain things, they didn't behave like they were bats--- insane, and the food was actually pretty good. Same its desserts too. Like, I'd totally go there again if they were still open. I think they finally decided to change because their bad rep from Kitchen Nightmares made them lose too much of their business, and they told us they were likely going to be closing down in a couple months... It was a little sad, but they were pretty nutty people who couldn't get their s--- together in time." I had eaten there on many occasions when it first opened, but you could see it lost its way over the years. I was actually surprised at all the s--- happening right outside my window. He took over our entire parking lot with a huge RV which was pretty inconvenient since there wasn't a lot of parking in the neighborhood & it was cold, so walking back to my place kind of sucked. The guy had worked from his home to run a restaurant! Felt bad for the son who was the only sane one of the group. It's probably the best episode after Amy's as far as crazy factor goes." "Cafe Hon, is pretty much just diner food, it has and always will survive off of tourist traffic for its atmosphere. I don't think the show really revealed how much the city hated her for trademarking the word 'hon', even though she gave up the trademark for the show...a lot of people still dislike her for it. In reality, she made a lot of money off of it while she had the trademark and pretty much sued anyone she could over it. It should be noted she only trademarked a sticker with the word HON on it, but went on to sue anyone who used the word 'hon' on any souvenir or as part of a slogan. So all the community hated this woman brought on herself then played the victim when it blew up in her face." "I went to Fenwick Arms (a traditional British pub) in Lancaster, UK with a friend I was visiting. He made me watch the Kitchen Nightmare video before we went, which was about six months after filming had taken place. The problems with the place before the show was the quality of the food, poor management by the owner/head chef, and really fancy modern plates that were out of place given the decor and menu. The food itself was really tasty and the Yorkshire pudding, which was a big part of their rebranding, was delicious. However, the owner was back in the kitchen instead of running the front and the modern plates were back. Ramsey's visit back to the pub didn't change anything..."